With the Hôtel de Paris’ new Unforgettable Honeymoon package, newlywed couples can follow in the footsteps of Prince Rainier and Princess Grace, whose storybook romance and marriage continues to resonate within the Principality of Monaco. Priced US$10,275* for two, the five-night package features a guest room overlooking the Mediterranean, complete with fresh fruit, flowers, a bottle of Champagne, and a wine tasting and tour of the famed Wine Cellar of the Hôtel de Paris, the setting of the 20th wedding anniversary celebration of the Monaco’s most beloved couple. 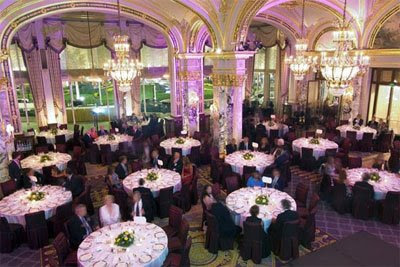 In addition, guests receive Monte-Carlo SBM’s exclusive "Carte d'Or," allowing free access to the Casino de Monte-Carlo, charge privileges at all Monte-Carlo SBM hotels, unlimited shuttle transportation between properties, and discounts of 50% on fees at the Monte-Carlo Country Club and Monte-Carlo Golf Club. Available now through January 4, 2009, the Unforgettable Honeymoon package is subject to availability and black-out dates. Le Grill dinner includes sommelier-selected beverages. Restrictions apply. Reservations can be made by calling Monte-Carlo SBM toll-free at (800) 595-0898. For additional details, visit www.montecarloresort.com. Monte-Carlo Hotels, Spas & Casinos, operated by Monte-Carlo SBM, features four remarkable hotels in Monaco, including the world-renowned Hôtel de Paris and Hôtel Hermitage; five casinos; 30 restaurants and bars (including several with Michelin-star chefs); and Les Thermes Marins de Monte-Carlo, Europe’s finest thalasso and spa center. In addition, the Garnier Opera House, Sporting Monte-Carlo, Jimmy’z and the new Moods: studio & music bar are among Monte-Carlo SBM’s numerous and diverse cultural, nightlife and gaming venues. Introducing Enzoani . . .